The management of your employees thousands of miles away from your headquarters is a substantial challenge that must be managed with care. Doing business in China offers opportunities to foreign investors. However, these opportunities are coupled with great cultural, logistical and commercial challenges that must be taken into account. Expansion of your business into the Middle Kingdom requires significantly more preparation than the expansion to a European destination. The key challenges relate to the employment, management, and retention of your staff. Failing to set and enforce proper polices that will take into account the inherent risks of doing business in China can be a costly mistake that will jeopardize your investment. The following brief is designed to serve as a reminder of the key issues and common traps which you should discuss with your China legal consultant. According to a report by Hudson, a professional services firm covering Asia’s human resource trends in the last quarter of 2010, 68% of the employers surveyed in China encountered false information on resumes. China was ranked “first” among the surveyed countries, illustrating the extent of the problem. The areas in which most falsification and/or exaggeration occurred are: job responsibilities, achievements and remuneration packages. They also include false information regarding academic qualifications, years of experience, and skill set. Therefore, employers are highly encouraged to double check the background of their employees, talk to previous employers, search for resume fraud and request to see proof of prior remuneration. Make sure that all of your contracts are in writing. Failure to execute a written employment contract within thirty days of employment will make the employer liable to financial penalties, such as duty to pay double monthly salaries. It is highly recommended that employment contracts will be translated to Chinese to assure that all your employees properly understand their rights and duties. Preservation of a global standard requires a comprehensive training program. Although having academic credentials, many of the Chinese young recruits lack skills and ability to work independently and efficiently on their own. 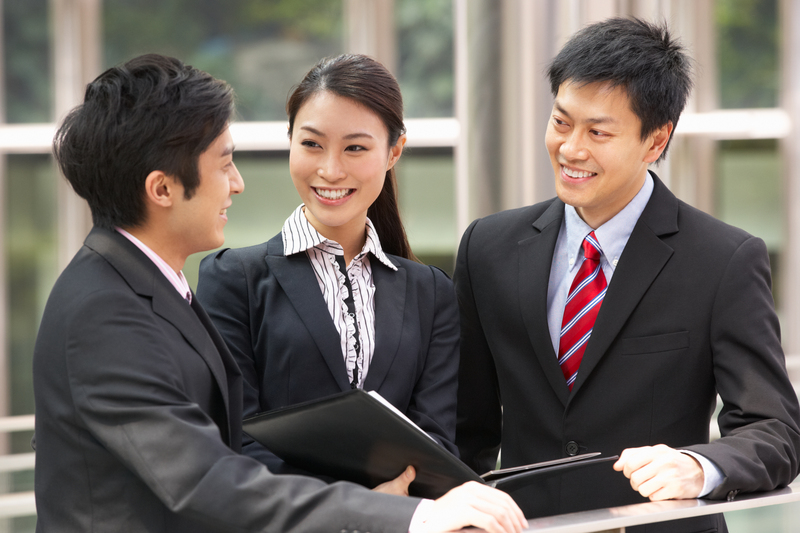 Training is regarded as highly important by Chinese employees. Make sure that your annual budget includes a substantial amount of training to secure that your corporate standards are preserved and that your employees develop a sense of loyalty to your enterprise. The Employee Handbook can be a good tool to introduce your new employees to your company’s goals and standards, which will familiarize them to the company’s key corporate values. Moreover, the Employee Handbook can be a vital tool if termination of employment is necessary. In contrast to the USA, China is not an “at will” jurisdiction and termination of employment is subject to specified legal causes which includes serious violation of the by-laws of the employer1. The Employee Handbook can also serve as a guide to the local management so they will be equipped with the professional knowledge of how to deal with your company’s human resource legal questions. Reference to a well drafted employee handbook signed by the employee can be an effective tool to persuade the local labor arbitration commission that reasonable measures were taken before termination, and that the termination of employment was warranted. An Employment Handbook which complies with the Chinese labor laws and regulations can help you to avoid costly penalties for unlawful termination. Staff Retention is a known problem in China. A recent report by China Europe International Business School (CEIBS) states that, “finding and retaining human resources” is the top concern for foreign companies doing business in China. The international recruiting company, Hudson, reports that the average yearly staff turn-over in China reaches 10%. Earlier reports stated that the turn-over reached 25% in certain industries. Foreign enterprise should be aware of the above, and should create a staff retention program to track their main talent and secure their commitment. In a survey conducted by IBM in the summer of 2005, employees were asked to identify the most effective motivating factors in their mind. As you can see in the Table 1 below, non-monetary means, such as sense of achievement and receiving responsibility were of key importance. Protection of your commercial secrets is vital, especially in China. A narrowly defined Confidentiality and Non-Compete Agreement should be a part of the key documents companies should provide to be signed by relevant employees. China’s non-compete restrictions require that the employee will be compensated during the non-compete period. The non-compete compensation formula differs from one province to another. Consult with a China practitioner to secure that your company’s non-compete restrictions comply with the specific regulations of the province. More importantly, in addition to the legal protections specified above, extra attention should be made to secure that sensitive data should be provided on a need to know basis only. A proper balance is needed between the empowerment of the local management to make changes that are needed in China and the elevated risk of losing control due to lack of supervision. Many foreign invested enterprises lose control and oversight of their Chinese subsidiaries or neglect to fully utilize their potential. It is recommended that the headquarters will use the assistance of third parties (such as auditors and lawyers) to secure that the local management is provided with guidance and assistance in implementing good and effective corporate policies. In China, documents are executed by the usage of corporate chops in lieu of the traditional signatures which brings in to play an operation method which many foreign investors are not familiar with and do not recognize its inherent risks. The holder of the corporate chop has a great power that can be, and is too often, abused. Make sure that your company has well drafted a policy and supervision mechanism which governs the usage of the chop, recording of documents signed, dual signature safeguards, etc. Avoiding cultural “clashes” and building an international cooperation between the global subsidiaries is a key challenge to many international enterprises. Encourage the exchange of knowledge and information between your corporate headquarters and your Chinese subsidiary. Inform your corporate headquarters about the Chinese major holidays and traditions to foster cooperation and sense of unity between the global branches. Utilising exchange programs where your mid-level managers are seconded to an overseas enterprise can be a great tool to build your international team. According to the China’s regulations1, unless it is agreed otherwise between the employer and the employee, the employer is required to pay his employee a statutory reward and remuneration which shall be not less than 2% of the operating profit and not less than 10% of the charged royalties for that employee’s created innovation. Failure to consult with a Chinese practitioner and to draft enforceable intellectual property clauses in lieu of the statutory default rules can be a very costly mistake in the future. Different provinces allow “flexible overtime” pay to senior management, which requires filling a specific application with the local labor bureau. Consult with your China practitioner to avoid penalties for violating the overtime regulations. Fraud, bribery and low corporate compliance are some of the major risks to foreign employers. It is vital that your company will have proper tools to detect and prevent fraud, which include internal and external audit, rotation of personnel, corporate fraud hotline, a clear policy providing incentives and protection for whistle blowers, and real time access to company’s bank account records. Operating a Chinese enterprise requires a hands-on approach, appropriate budget, training, and constant communication between the headquarters and the Chinese subsidiary. It is essential that there will be monthly updates and regular visits such that the headquarters will be involved in the development of the Chinese subsidiary and its employees. Amit is licensed to practice law in California and Israel and holds a Master Degree in Chinese law from Tsinghua University of Beijing. Amit has over twelve years of legal experience and resides in Shanghai. Amit serves as a senior counsel at Da Cheng Law Offices. Amit recently received an excellence award by Da Cheng Law Offices for his legal work during 2010. Amit specializes in international business as law with an emphasis on Chinese corporate law, foreign direct investment (inbound and outbound), labor law, clean tech, dispute resolution, and intellectual property. Amit is also a member of the Business Law and the International Law Sections of the California Bar Association and of the China Law Committee of the International Section of the American Bar Association. Founded in 1992, Da Cheng Law Offices is one of the first and largest partnership law firms in China. The leading Asia-Pacific magazine Asian Legal Business (ALB) ranked Da Cheng Law Offices as the largest law firm in Asia. Da Cheng has established an extensive global legal service network, covering most of the major cities and regions in the world. Apart from its headquarters in Beijing, Da Cheng also has thirty branches located across China and serves as a single law firm that can provide a full scope of legal services to accommodate its domestic and international clientele.